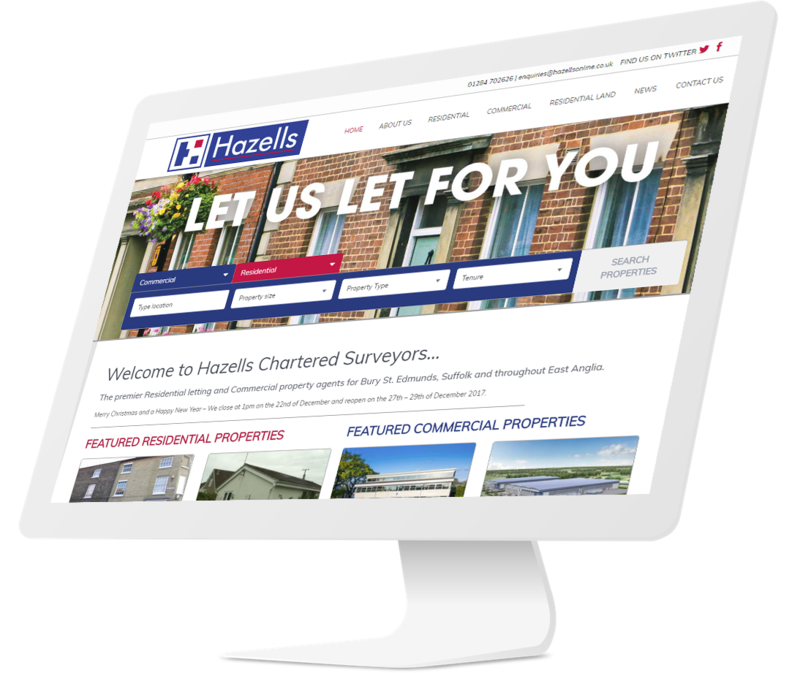 Hazells Chartered Surveyors provide services in the residential lettings and commercial property sector. After many years of having the same website that had been difficult to update and not really helping the business expose potential customers to the properties they had to let. Hazells provide two services to the property business. One service is aimed at residential lettings and manage properties and tenants for landlords, the other service is for letting and sales of commercial property. 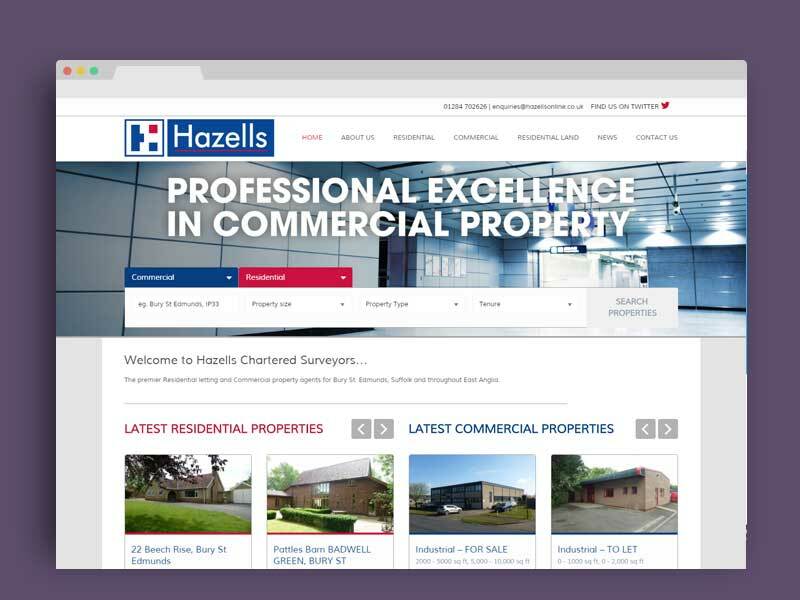 Hazells website had to fulfill two sides of the business in one website, which meant having to provide search for both commercial properties only and residential properties only. The website also had to keep up to date with all the properties they are currently managing and the status of that property. 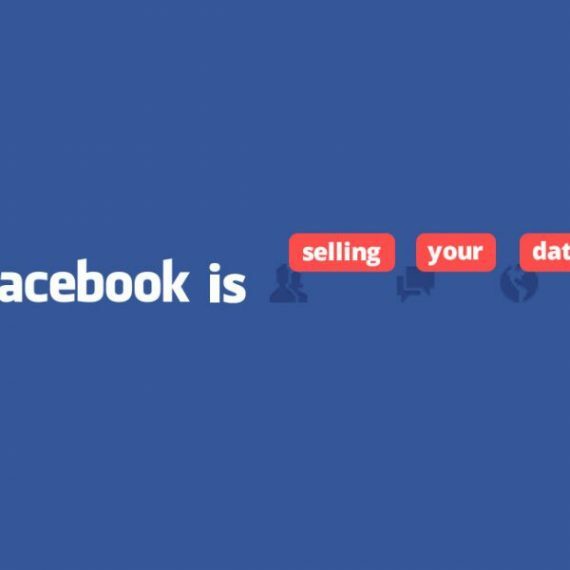 To do this the website uses a regular import file that also provides information to RightMove, OnTheMarket and Zoopla ensuring that all platforms keep up to date with the same data. Using this data for the website the residential properties are updated automatically and periodically. The website now provides a much better interface for customers to view property with search functionality, map locations and contact for reporting faults and issues. 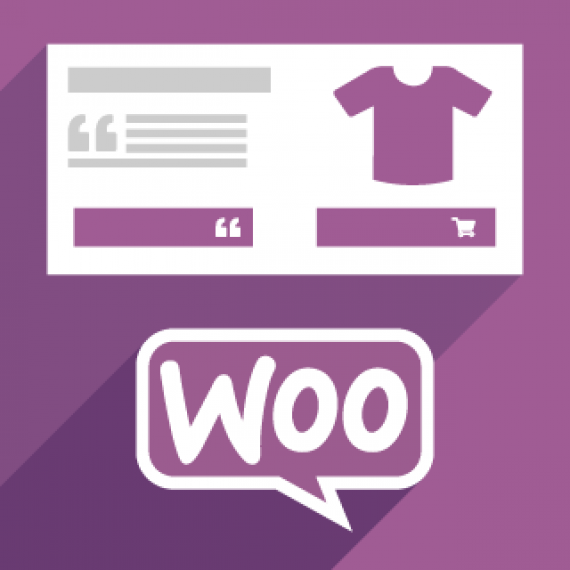 The website runs on WordPress with various plugins to help with search engine marketing and importing regular updates from Vebra. As part of Hazells digital strategy to be more engaging with customers and keep customers up to date with the latest news in the property World and about the business, Hazells send a monthly newsletter. The newsletter provides landlords with key information that can be found on Hazells news section of the website, which informs them of changes with tenant laws and renting property. 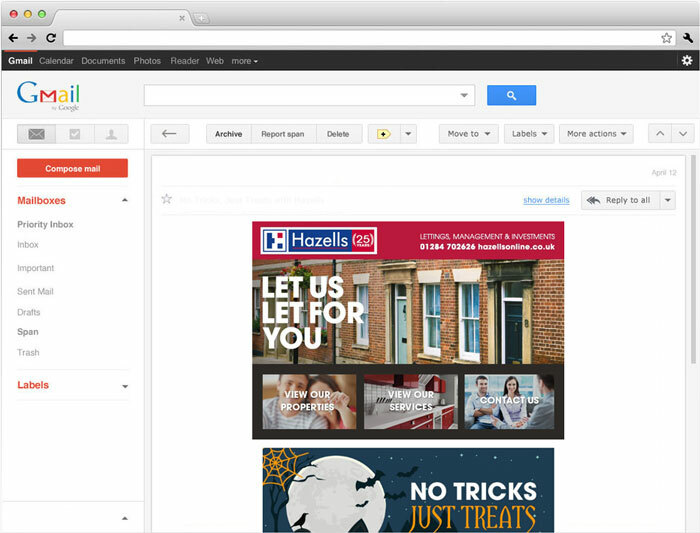 Hazells are very active with attending events and running promotions and a monthly newsletter is a great way for them to share that information with landlords and clients. Hazells also blog often about current events in the property market and about local events they support and attend, using the newsletter allows them to promote that information easily.